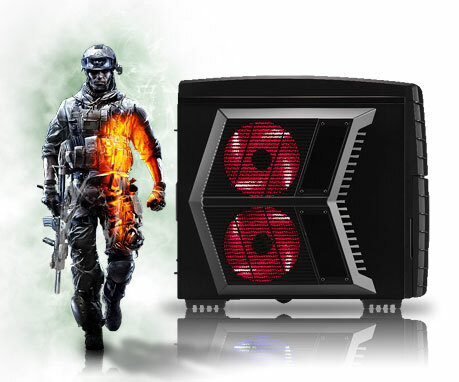 Have you purchased a brand new computer and wondering how it will perform in latest games? Don’t worry, now test computer’s Gaming performance and find out if you can play the latest games smoothly or not. 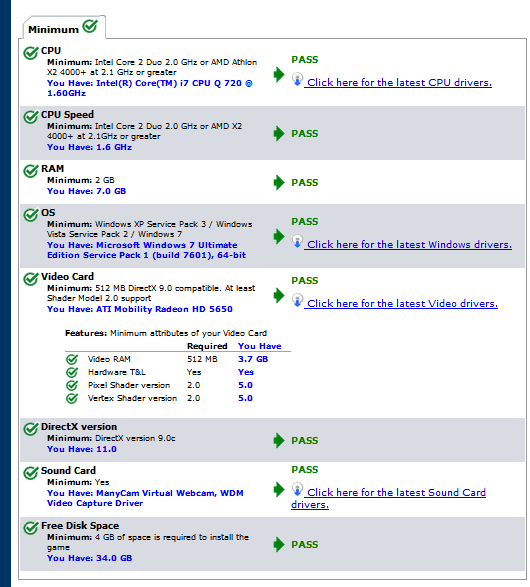 It’s possible to test computer’s gaming compatibility online. Without installing any game in your computer you will be able to know how good it will run on your system. 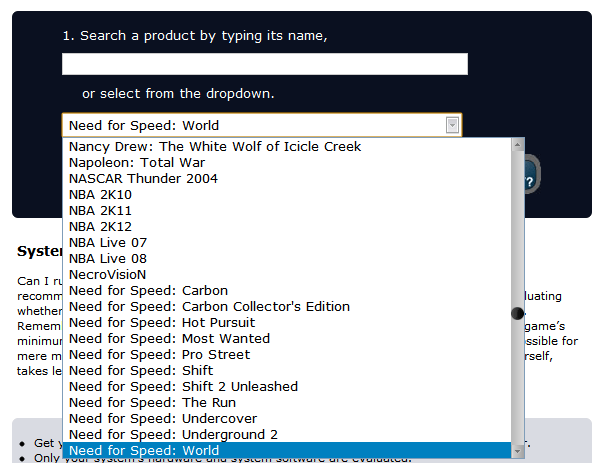 or select any game from the drop down list. It has a huge list of all popular computer games. Once the game selection is done click on “CAN YOU RUN IT” to start the gaming test. To analyze systems performance it needs to download a secure ActiveX/Java browser component. Allow and give permission to run the ActiveX or Java component to initiate the test. When the analysis is complete it will show the result. During analysis it checks all components of your PC and compares will the minimum system requirement of the game and shows which component (CPU,RAM,Video card etc) passed the test and which failed. From this test you can find out which hardware is under performing and decide to upgrade the hardware. How to Play Super Mario Bros Game on PC and Online for Free? Its not exact! I play fifa 10 in my pc everyday but it shows that i can't play fifa 10!! U can just judge how smooth the game can run on your pc with it!